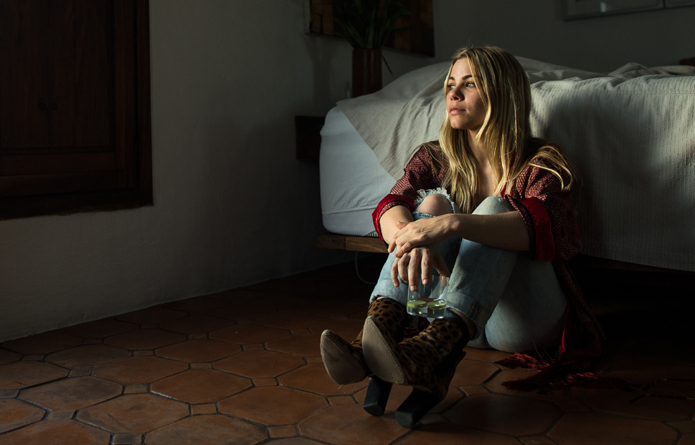 The R’COUP’D label (Ninja Tune) announces the release of the “Dig Down Deep” EP from New Orleans-based singer-songwriter Maggie Koerner on 9th December 2016 alongside a video for its title track. Comprising four tracks, the EP was recorded in four different sessions over two years with a lengthy list of collaborating musicians, including executive production from the face of Fink and R’COUP’D head himself, Fin Greenall. Her relationship with Greenall so too represents a sort of sonic kismet. After meeting a mutual contact in a treehouse in France, Koerner repeatedly emailed demos, caught his attention with EP track “Cayute Woman” and they went on to work together in Berlin, Los Angeles and New Orleans. Encouraging the listener to dig down deep, in its myriad interpretations, carries especially significant meaning in the current climate of domestic and global affairs, which in turn contribute to her unique perspective as a songwriter. Other tracks are more whimsical but no less affecting. ‘French Fur Traders’, another standout, describes a relationship with a former lover who is still kindred. The lyrics poured out of Koerner on the fly one night, recalling her ex’s belief that they had known one another in a former life, lived as French fur traders themselves. Koerner is already recognizable on the US tour circuit for her incredible live performances with esteemed, festival-favorite acts. Now stepping out in a more intimate direction—and with Fink producing—her new material is where her voice is given room to slowly smolder, leaving behind a chilled but haunting trace.